UPDATE (7/12/14): Yet another year has gone by, and sadly, our family is no closer to any answers. Joey is in our hearts every day. Her children continue to grow without the daily love of their mother. Our family continues to grieve a loss with absolutely no sign of closure anytime soon. A baby's death is without justice. Seven years ago our family became fractured and torn. Seven years ago hearts were crushed, spirits were challenged, and an unimaginable loss occurred. Seven years ago a bizarre mystery was presented. And seven years have gone by and nothing has been able to bring us any closer to knowing what happened that day. Seven years ago in the early morning of July 12, 2007, authorities responded to a fire at Joey Lynn Offutt's Sykesville, PA home. After the fire was extinguished, the remains of Offutt's six-week-old son were discovered, but Joey and her car, a red Saturn with Virginia license plates, were missing. Police found Joey's car four days later in State College, PA, parked at the Nittany Gardens apartment complex, where she had previously lived. Joey's other two children, who were not in the home at the time of the fire, have been living with family members since their mother's disappearance. In the seven years since Joey's disappearance, there have been no substantial leads that have helped further the investigation. As her family, we know Joey would not willingly leave her children, and we fear someone killed her and then tried to destroy evidence by burning the house down. At the time she went missing, Joey Lynn Offutt was 33 years old and is described as a petite woman, approximately 5' 3" with a thin build. She has brown eyes and brown/red brown hair. She may or may not have been wearing glasses. We have a toll-free number to field tips from the public. Anyone with information is urged to call 1-877-440-JOEY (1-877-440-5639) or to contact the Pennsylvania State Police at 814 371-4652. We still want answers and we urge anyone with any information to contact us. UPDATE (7/12/12): It is with great sadness that our family marks the 5th anniversary of Joey Lynn Offutt's disappearance from her Sykesville, PA home. Not a day goes by that we are not missing her and thinking of her, and desperately seeking answers to what happened to her and her son, whose remains were found in her burned down home five years ago. Her other two children are doing well, considering the circumstances, but we wish to give them a sense of peace and closure by letting them know what happened to their mother. Unfortunately the police have exhausted all leads in the case, but we have not given up hope. We still want answers. We urge anyone with any information to contact us. UPDATE (3/11/12): Watch "Disappeared" on the Investigation Discovery network at 9 p.m. on Monday, March 12, 2012. The show will feature the case of missing person Joey Lynn Offutt. The network re-airs episodes frequently after the premiere date. Initial published re-air dates that are scheduled include Tuesday, March 13 at 12 a.m. and Sunday, March 18 at 6 p.m. Full episodes are also available for download on iTunes. UPDATE (7/10/11): Four years ago, in the early morning of July 12, 2007, authorities responded to a fire at Joey Lynn Offutt's Sykesville, PA home. After the fire was extinguished, the remains of Offutt's six-week-old son were discovered, but Offutt and her car, a red Saturn with Virginia license plates, were missing. Police found Offutt's car four days later in State College, PA, parked at the Nittany Gardens apartment complex, where Offutt had previously lived. Offutt's other two children, who were not in the home at the time of the fire, have been living with family members. In the four years since Offutt has been missing, there have been no substantial leads in the case. Offutt's family believes Joey would not willingly leave her children, and they fear someone killed her and then tried to destroy evidence by burning the house down. Offutt's family has established a toll-free number to field tips from the public. Anyone with information is urged to call 1-877-440-JOEY (1-877-440-5639) or to contact the Pennsylvania State Police at 814 371-4652. The family also runs this website to help bring public attention to the case. Visit FindJoey.org for additional information or to contact Offutt's family with information. UPDATE (7/12/10): Today marks the three year anniversary of the house fire which led authorities to discover the remains of a 6-week-old baby boy, and that his mother, Joey Lynn Offutt, was missing. In the early morning of July 12, 2007, authorities responded to a fire at Joey's Sykesville, PA home. After the fire was extinguished, the remains of Joey's son were discovered, but Joey and her car, a red Saturn with Virginia license plates, were missing. Police found Joey's car four days later in State College, PA, parked at the Nittany Gardens apartment complex, where Joey had previously lived. Joey's other two children, who were not at home at the time of the fire, are safe living with family members. After three years, and multiple airings on the popular TV show "America's Most Wanted", investigators from the Pennsylvania State Police still have had no substantial and credible leads in the case. The family requests the public's help. 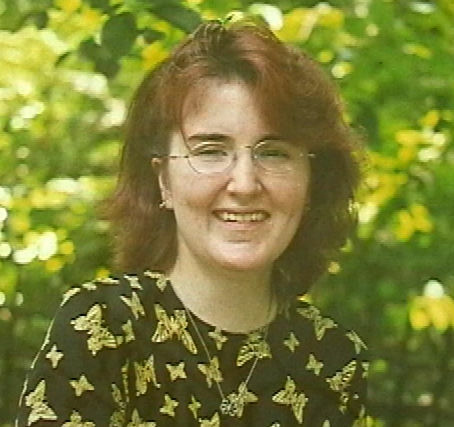 If alive, Joey Lynn Offutt would be 36 years old (she was 33 years old at the time of her disappearance). She is described as a petite woman, approximately 5' 3" with a thin build, and she has brown eyes and brown/red brown hair. She may or may not have been wearing glasses. Joey Lynn Offutt's family has established a toll-free number to field tips from the public. Anyone with information is urged to call 1-877-440-JOEY (1-877-440-5639) or to contact the Pennsylvania State Police at 814-371-4652. The family also runs this website to help bring public attention to the case. 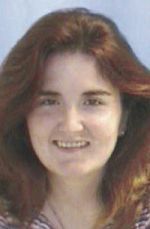 UPDATE (7/9/09): Joey Lynn Offutt has been missing from Sykesville, PA since a fire destroyed her home on July 12, 2007. In the early morning of July 12, 2007, authorities responded to a fire at Joey's Sykesville, PA home. After the fire was extinguished, the remains of Joey's 6-week-old son were discovered. Joey and her car, a red Saturn with Virginia license plates, were missing. Police found Joey's car four days later in State College, PA, parked at the Nittany Gardens apartment complex, where Joey had previously lived. Joey’s other two children, who were not at home at the time of the fire, are safe living with family. After two years, and two airings on the popular TV show "America’s Most Wanted", investigators from the Pennsylvania State Police still have had no substantial and credible leads in the case. The family requests the public's help by coming forward with information they may have that could lead to Joey being found. If alive, Joey Lynn Offutt would 35 years old (she was 33 years old at the time she went missing), approximately 5' 3" with a thin build, and she has brown eyes and brown hair (with a reddish tone). She may or may not have been wearing glasses. Joey's family has established a toll-free number to field tips from the public. Anyone with information is urged to call 1-877-440-JOEY (1-877-440-5639) or to contact the Pennsylvania State Police at 814-371-4652. The family has also created a website to help bring public attention to Joey's disappearance. Visit FindJoey.org for additional information on this case or to contact Joey’s family with information. UPDATE (12/13/08): America's Most Wanted will again be featuring Joey Lynn Offutt on their show TONIGHT at 9 p.m. Eastern on FOX. Tonight's segment will be a shorter synopsis of the segment that originally aired last month. You can view the segment that aired on November 15 below. You can download the video here - Please right click and choose "Save As" to download to your computer. UPDATE (11/6/2008): We are happy to report that America's Most Wanted plans to feature a segment on Joey Lynn Offutt, the single mother missing from Sykesville, PA since July 2007. The air date for the segment is currently set for Saturday, November 15 on FOX. The air date is subject to change, due to late-breaking stories or recent captures. Joey's family is hopeful that this national exposure will help generate new leads in our search for her. UPDATE (10/11/2008): We are also pleased to report that America's Most Wanted will be featuring Joey's case on an upcoming program set to air in November. 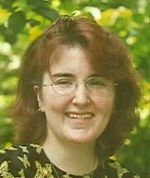 Joey Lynn Offutt has been missing from Sykesville, PA since a fire destroyed her home on July 12, 2007. In the early morning of July 12, 2007, authorities responded to a fire at Joey's Sykesville, PA home. After the fire was extinguished, the remains of Joey's 6-week-old son were discovered. Joey and her car, a red Saturn with Virginia license plates, were missing. Police located Joey's car four days later in State College, PA, parked at the Nittany Gardens apartment complex, where Joey had previously lived. Joey's other two children, who were not at home at the time of the fire, are safe living with family members. Today is Joey's birthday, she turns 35 years old. All of her family misses her and would like answers. Joey was 33 years old at the time she went missing, she is approximately 5' 3" with a thin build, and she has brown eyes and brown hair (with a reddish tone). She may or may not be wearing glasses. Or call the "Find Joey Tip Line" at: 1-877-440-JOEY. The "Find Joey Tip Line" is operated by Joey's family and you may remain anonymous if you choose. Alternatively, you can also contact Joey's family online. UPDATE (7/11/2008): How do you commemorate an anniversary you wish were not true? Joey is still missing - and we still miss her. This has destroyed our family, and has no doubt forever changed two innocent little girls who have to live every day without their mother. And we also of course grieve for the life of an infant boy who was taken from us. What happened to him? And what happened to his mother? Who did this and where is she? How does one truly "move on" from such a devastation? We have not forgotten. We cannot forget. Her children are daily reminders that she is still not here with us - and we are no closer to any answers. One year later, and no closer to finding any kind of closure or resolution, let alone answers that make any sense. We need your help. We need your help in continuing to bring notice to her story. We need your help if you saw anything, heard anything -- no matter how insignificant you might think it is. We have nothing. We still believe Joey may have been missing for at least several days prior to the fire that destroyed her home on July 12, 2007. So maybe you saw something out of the ordinary days before the fire -- we'd like to know what you know. Please help us to FIND JOEY. We'd like to hear from you. Call 1-877-440-JOEY and leave a message with the information you have. Or contact us online through this site. If you wish to remain anonymous, that is OK, and we will respect that. We simply want your information, identifying yourself is your choice. UPDATE (4/15/2008): In the early morning of July 12, 2007, authorities responded to a fire at Joey's Sykesville, PA home. After the fire was extinguished, the remains of a baby, believed to be Joey's 6-week-old son, were discovered. Joey and her car, a red Saturn with Virginia license plates, were missing. Police located Joey's car four days later in State College, PA, parked at the Nittany Gardens apartment complex, where Joey had previously lived. Joey's other two children, who were not at home at the time of the fire, are safe living with family. In the nine months since Joey has been missing, she has missed the birthdays of her daughters, her own 34th birthday, Thanksgiving, Christmas, and Easter with her family, along with the countless daily milestones achieved by her growing children. Her family misses her very much and her daughters need their mother. Investigators from the Pennsylvania State Police have had no substantial leads in the case. Joey's family is hoping that someone with information will decide to come forward with what they know. Joey Lynn Offutt is 34 years old (33 years old at the time she went missing), approximately 5' 3" with a thin build, and she has brown eyes and brown hair (with a reddish tone). She may or may not be wearing glasses. Joey's family has established a toll-free number to field tips from the public: 1-877-440-JOEY. Anyone with information is urged to call 1-877-440-JOEY (1-877-440-5639) or to contact the Pennsylvania State Police at 814-371-4652. If ANYONE has seen Joey or spoken with Joey at any time after July 5, 2007 PLEASE contact us! At this time, it is uncertain, but Joey may have been missing for up to a week prior to the fire. Her family desperately seeks to find her safe and unharmed. If you know of anything, talked to her, or even saw her car around the State College, PA or Sykesville, PA area, please contact us. We only want your information. Your comments will be anonymous, if you choose.